"Thanks for a great ride!" says GameSpy, as 800 publishers start looking for multiplayer alternatives. Update: EA says it is trying to keep old Battlefield multiplayer servers online, but there are technical hurdles it needs to overcome. EA originally Tweeted that it intended to "transition those games after the shut down" so players would be able to enjoy the old titles. However it has since said to IGN that the transition is not an easy process, and it will make an announcement "when there is news to share." Original story: First GameSpy Technology owner Glu Mobile shut down the classic game servers December 2012, saying that bills weren't paid, so tough nuggets. Then in January 2014, GameSpy stopped making its software available for licensing, and now it has announced that, effective May 31st, any remaining multiplayer servers will be shut down. It's going to be up to individual publishers whether they want to take on the burden of running those servers. More than 800 publishers and their product will be affected. Some publishers saw this coming a mile off, and have already been preparing for the inevitable. Epic says it's already working on an in-house solution, as does Iron Galaxy Studios. Capcom hopes to have a definite solution soon. Rockstar's been migrating its servers from GameSpy for two years - as soon as the classic game multiplayer server shutdown news hit - and Nintendo recently announced it was shutting down its Wii and DS multiplayer. Bohemia, whose modern shooter Arma series depends on online multiplayer, has said that it expects several of its titles will have "more limited multiplayer experience with loss of server browser." 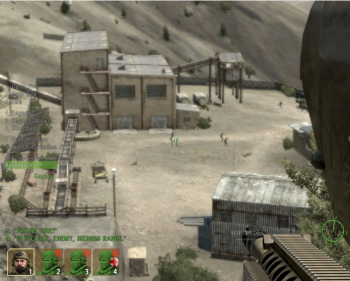 The list of affected games includes Take On Helicopters, Arma 2, Arma 2: Free, and Arma: Cold War Assault. Bohemia thinks direct IP connection to servers should still work even after the shut down. CEO Marek Spanel hopes to have an alternative solution via Steam for Arma 2: Operation Arrowhead and Arma 3 users soon.